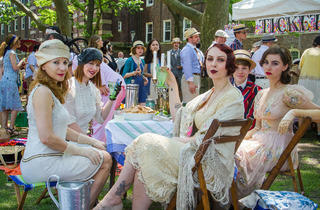 The Jazz Age Lawn Party wrapped its final Governors Island takeover for summer 2015 yesterday, and we’re convinced that all the old-timey getups at this roaring 1920s shindig only improve during each passing year. We also assume that these chaps and dames rummaged through New York’s best vintage shops to find the perfect throwback threads and accessories because, damn, these duds look authentic. 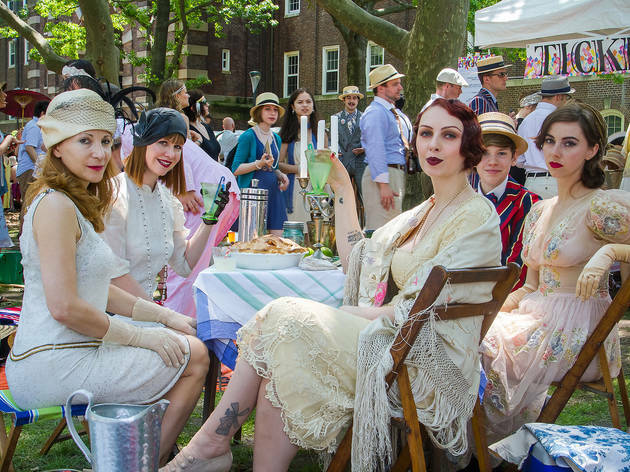 We scrolled through Instagram to find the most impressive looks from the affair and judging by the gorgeous dresses decked out in fringe and lace, dramatic makeup looks and sharp-dressed dudes in suspenders, you’d be hard-pressed not to take a gander at the stunning outfits we found.